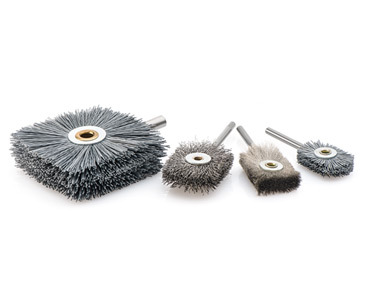 HK - KOTI square brushes are ideal for use in locations where interior brushes are unsuitable due to their design, such as the bottom of a borehole. They are capable of machining the flanks and bottom of boreholes (blind holes) simultaneously. They are available with a diameter of 16-90 mm and with the whole range of different filler materials.